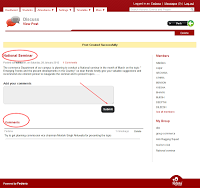 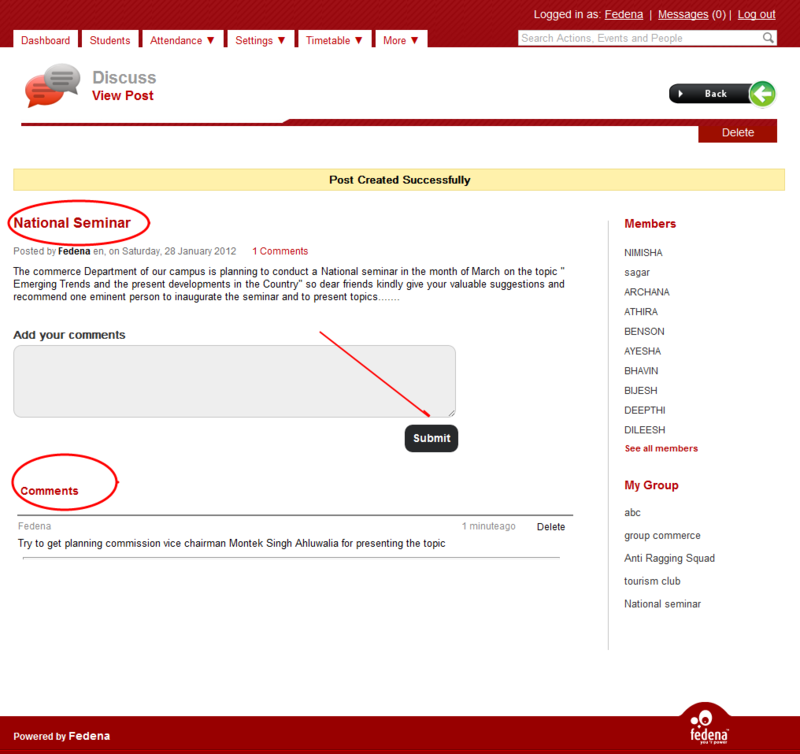 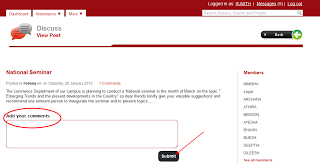 Discussion module helps the students, teachers to interact with each other and they can share their views through posting comments in it, the members of the group gets privilege to see the posts and they are allowed to comment to the posts. 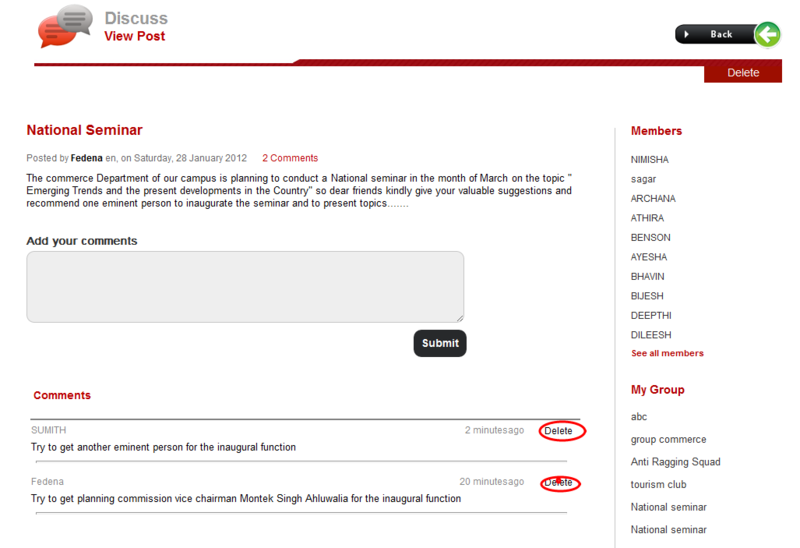 The admin gets the privilege to delete the unwanted posts and the employees can delete posts which is posted by them. Working of Discussion module is as follows. 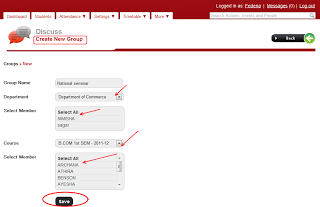 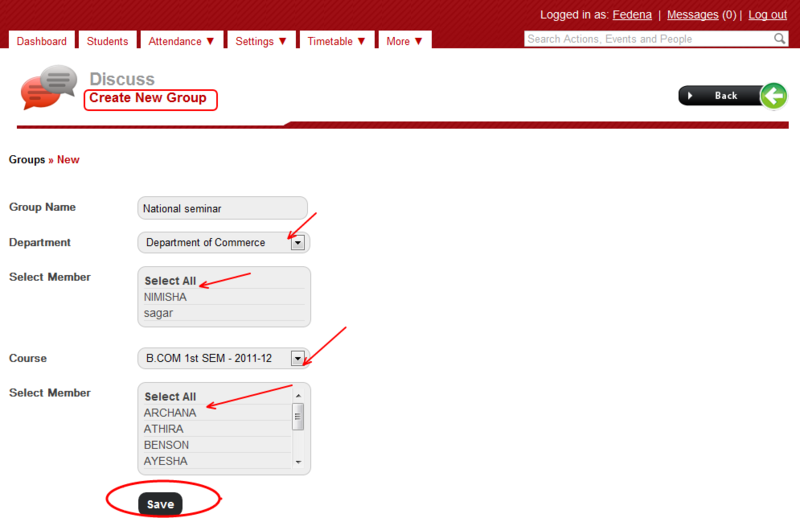 You can create custom groups which can include teachers and/or students. 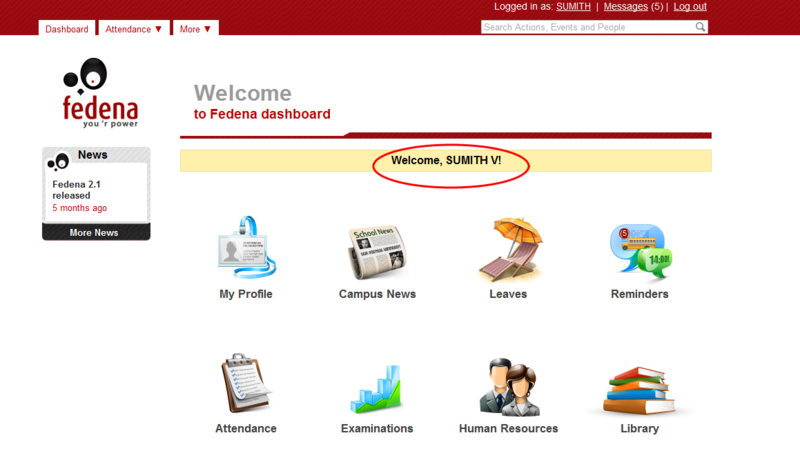 This module gives an addictive feature for Fedena. 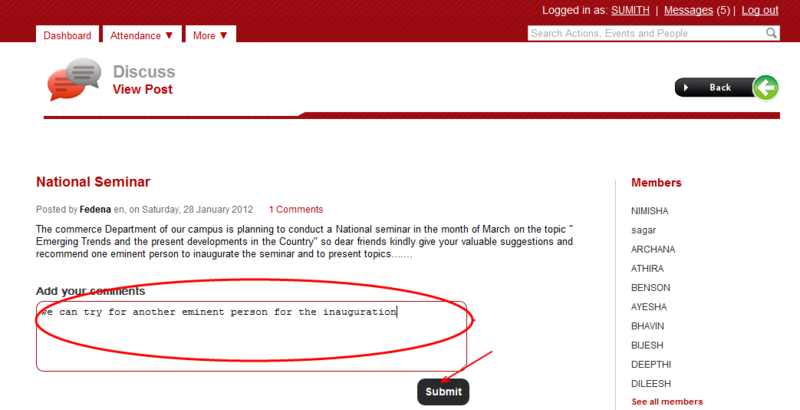 See the slideshow given below.